Kurti is one of the most comfortable, versatile yet elegant Indian wear, which goes with almost every occasion and event. The best part of Kurtis is that it does not have any age limit, therefore women of any age group can wear it. But are you aware of the types of Kurtis and designs? 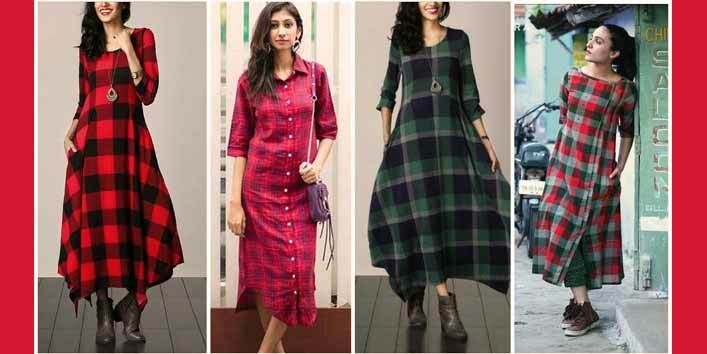 If not, then don’t worry as we have come up with some trending Kurti designs and styles which every woman should know. 1. 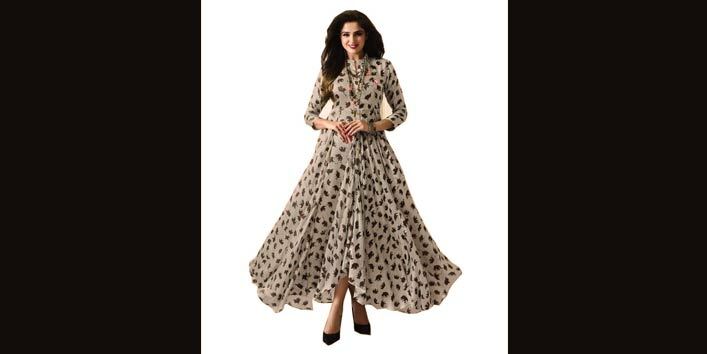 Trending Kurtis designs and Style Include Flared Kurtis Too! • Age Group: Young to middle-aged women. If you want to look elegant and stylish at the same time, then flared Kurti is for you! You can wear it on a regular day or can carry them to a formal event, as it swings both ways. You can wear long flared Kurti or short flared Kurti according to the demand of occasion and your mood. Front slit Kurtis are nothing but your regular printed Kurtis with a little front slit, instead of the side one. If you want to set yourself apart from the crowd, then try it out with your favorite palazzos and set your own style statement! 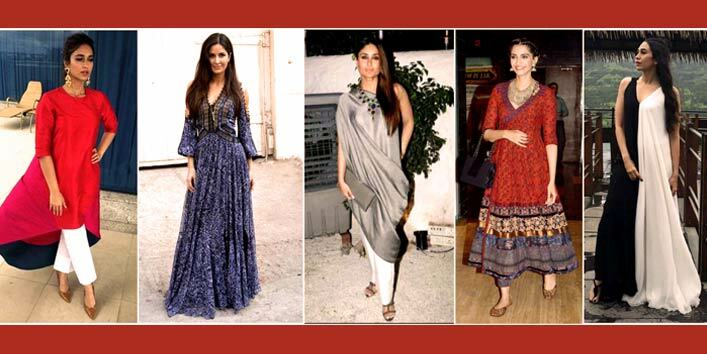 Also Read: Indian Wear can Look Trendy Too – Check Out How!! If you are looking for something stylish as well as comfortable, then shirt style Kurti is a perfect option. It is an amazing blend of contemporary and traditional and is quite easy to carry off. 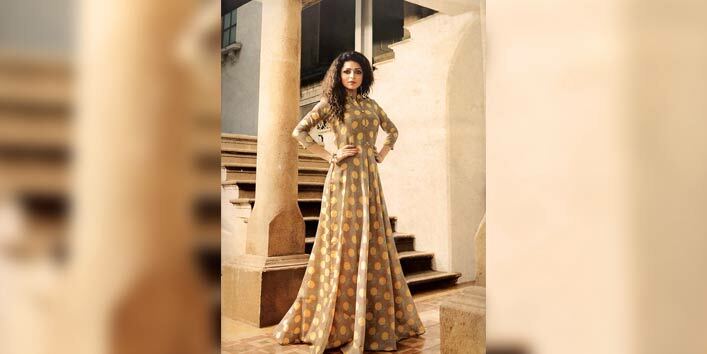 This Kurtis is inspired by the musician dress, which usually side sweeps on the other side like a flap. To give it a traditional or party wear look, it is embellished with tassels and other material. It can be worn either on a formal event as well as on an informal too, depending on its fabric. Also Read: 5 Types of Scarves Every Girl Should Have in Her Wardrobe! Denim kurti is one of the most popular types of Kurti, which almost every young woman should have in her wardrobe. You can carry this type of Kurti with or without legging as well. It can be worn like a one-piece dress too if you are going out to a party. These days, Anarkali can either be worn to parties as well as in the office. It depends on the fabric and embroidery design. But the best part is you can also wear it as a one-piece dress to give a modish look along with your favorite accessories! A jacketed Kurti amps up your style and makes you look stunning. It makes you stand out in the crowd. You can also wear it as a dress to give a different look. • Age Group: Young to middle-aged. Floor length suits are one level above the Anarkali suits, which are the perfect choice for parties. 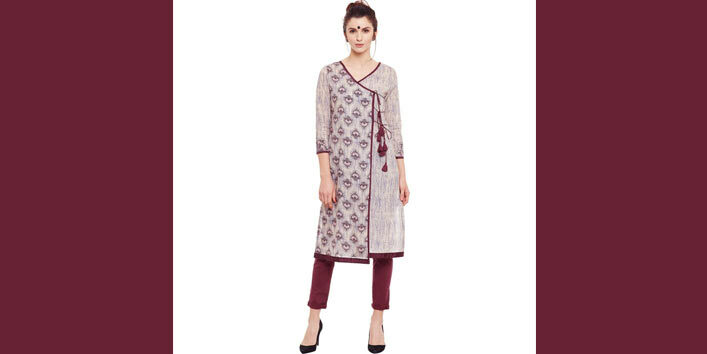 You can also wear this Kurtis to the office as well. According to the fabric and design, you can flaunt your favorite floor length Kurti to any event or occasion. Tail cut Kurtis have been topping the charts since last few seasons. These types of Kurtis are usually longer at the back and therefore, they are similar to asymmetrical Kurtis. If you are heading to some party or occasion, you can pair these up with leggings or anything full length. 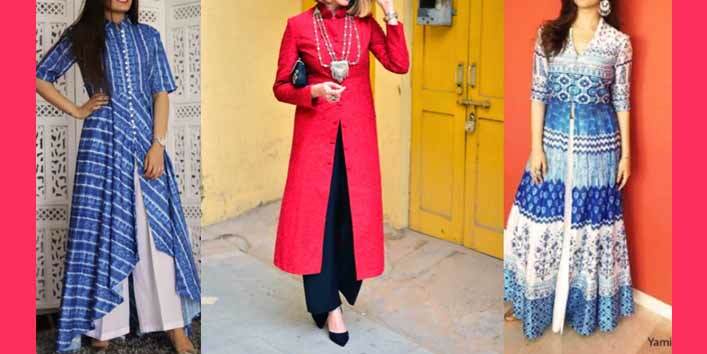 You can steal the hearts of people with your simplicity by wearing these trending Kurtis! Hence, grab a few and go on a ride!